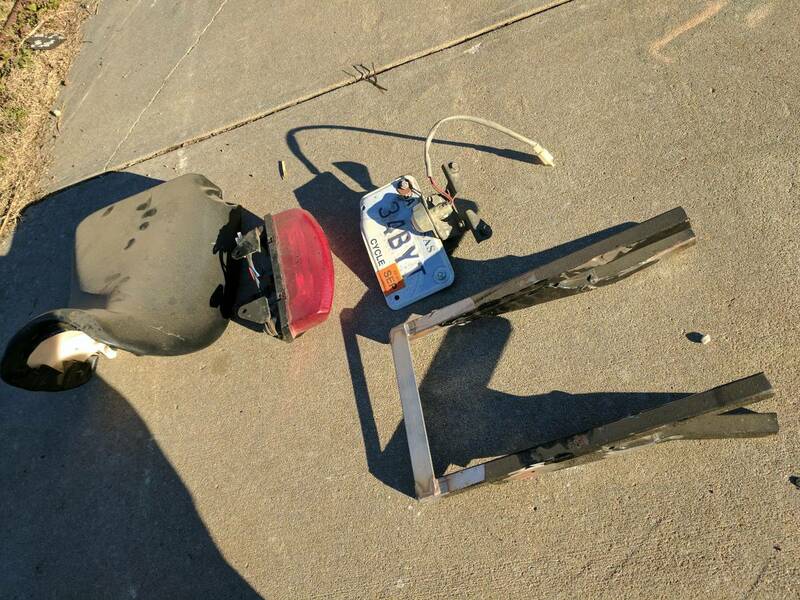 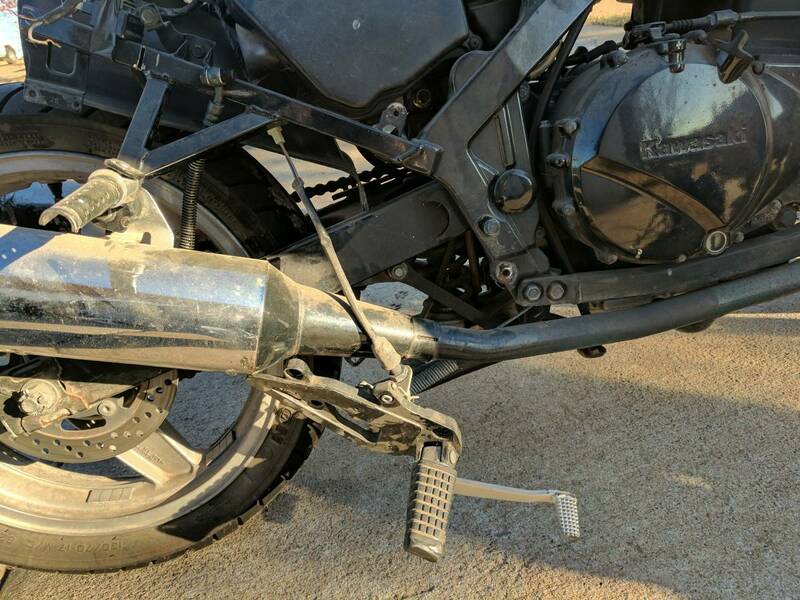 Bike ran when parked last year. Tires are a couple years old but have plenty of tread left. Battery is dead, if you bring a charged one out you'd be more than welcome to try to fire it up. Rear half of the subframe has been cut off and the headlight has been replaced with dual projector beams. 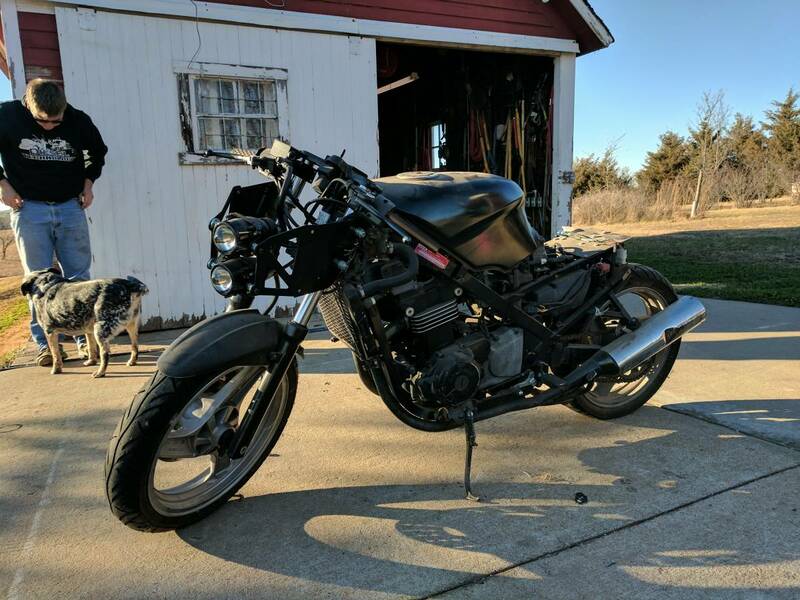 Would make a cool project for someone to finish up or put it back to stock. 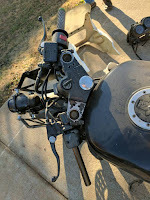 I still have the stock headlight and dash/ gauge set up. I'm selling this bike for my brother. 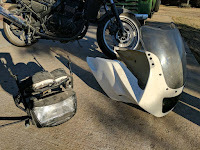 Make an offer. 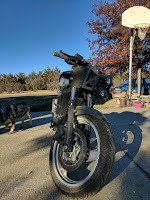 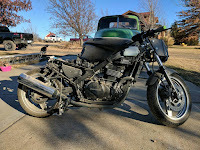 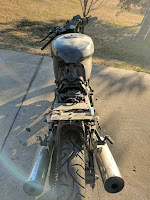 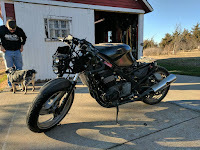 You could probably make your money back by parting it out but you should be able to buy a more complete project bike that runs for not much more... A lot less effort at least.